New figures show that for the first time, more than half of Victoria’s parents avoid sending their child to a local school, opting instead to enrol them in independent and Catholic schools. The figures, released by the Auditor-General's report into school infrastructure, revealed that 52% of state primary school enrolments and 53% of state secondary school enrolments come from outside the local school catchment. The report said that to determine the likelihood of future shortfalls in the school places being offered by existing schools, the state’s education department needs a reliable method of comparing available places with likely future demand. “This involves forecasting future demographic patterns for each neighbourhood, the number of school-aged children, and the likelihood of parents choosing a public education,” the report stated. However, many of the state’s principals are concerned that the ongoing enrolment growth of large schools is contributing to this issue, and in turn, disadvantaging smaller local schools. Berwick Lodge Primary School principal, Henry Grossek, said that since the early 1990s, successive state governments have made parent choice of school for their children “virtually a mantra” of their educational policies. 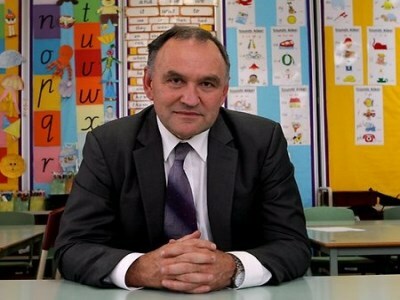 “When you couple this with the language of the day – ‘underperforming schools’, based largely on NAPLAN and VCE results, it’s little wonder that parents start looking beyond their local school gate,” he told The Educator. Grossek said this issue has “polarised” schools in the quest for enrolments, which is the basis of most school funding. “I don't believe this is a healthy trend for state education, for it erodes to some extent at least, one of the historical strengths of state education – strong collegiality and teamwork across schools,” he said. Grossek said that governments seem to be “taking the easy option”, encouraging parents to exercise their right of choice of school for their children while “waving the big stick of accountability” over schools. “Imagine, for a moment, a scenario in which governments funded and resourced all government schools in such a way that there was a truly level playing field of opportunity for all students in all schools. Would we have over 50% of children attend out of neighbourhood schools? I think not,” he said. Grossek added that the implications that flow on from this are that “either parents chose poorly or it's the schools fault”. “Perhaps if it were compulsory for students to attend their local state school, rather than an out of catchment state school, governments would be held more directly accountable by dissatisfied parents,” he said. Meadowglen Primary School principal, Loretta Piazza, told The Educator that while parents often form the view that one school is better than another, that perception is not always accurate. “In our network of schools, we have decided as a group of principals, that we will always promote our local government schools,” she said. Piazza said the first question her school asks parents is: “Are we your local school?” If the answer is no, then the school encourages them to look at their nearest school. “Sometimes this means losing an enrolment, but at least our integrity as principals remains intact. But one principal cannot do this alone; it must be a collective and collegiate decision by all principals in the area,” Piazza explained.